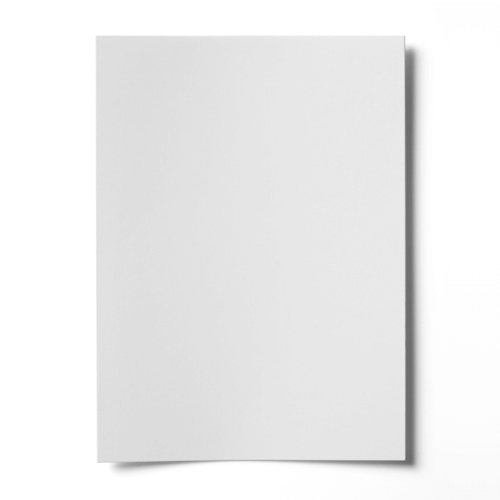 This super high quality 300gsm extreme smooth white A4 card is unlike anything you've seen. The finish is beautifully smooth and is perfect for laser printing. We have never had such a smooth white card before in our range. This A4 white card really does give a real feel of quality by the touch alone. Make sure your project gives the impression that you want it too, make sure you use card from our Advocate range. This super high quality white 100gsm extreme smooth paper is unlike anything you've ever seen. The texture is beautifully smooth and is perfect for printing with both lasers and ink jets. Would recommend this to anyone who makes cards, its good quality, folds easily without any cracking, get a good quality print on it. Would really recommend this for card making, prints good and also it folds really easy without cracking. This is an excellent card for anyone making notecards for any fundraising activity. Nice and firm, but still goes through the printer (an Epson P50) with no problems. Would recommend it to anyone. I have used this company quite a number of times and have always had good results and also excellent service from them. First time I have ordered the 300 gsm card but it feels so luxurious. I intend to use this heavier weight to print toppers from CD roms. Tried it this morning and I have had excellent results using a Canon Inkjet printer.